Jared Polis is in a heap of trouble after voting down military pay raises a few weeks ago, so he called in a fellow Democrat and former Marine to attend a campaign event this week with a group of veterans. Polis searched high and low for a Colorado Democratic veteran to actually stand with him to face what might potentially be some very unfriendly fire, and settled upon fellow Congressman Seth Moulton — of Massachusetts. Where was Jason Crow, fellow Democrat and former combat veteran who is running against former Marine Mike Coffman? He was in the crowd somewhere, just not standing too close to Polis. Since Polis voted down that 2.6 percent raise about two weeks ago, which would bolster average military pay to about $36,200, he’s learned there are about 400,000 veterans in the state who would likely take issue with that. So now he’s pandering to them, telling them they deserve health services, job training and mentoring programs. You know, all the stuff he should have done while a congressman for the past decade. 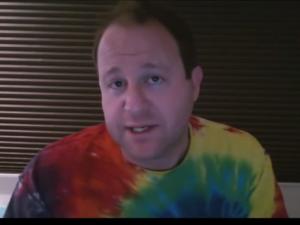 Now Polis says he wants to make medical marijuana more accessible to veterans. Like actual coverage by the VA? Again, something Polis should have been working on as congressman when he actually had a say. Of course Polis brought up the organization he helped cofound, Patriot Boot Camp. It’s a program started in 2012 that has hosted a dozen, three-day boot camps since, to inspire veterans to become start-up entrepreneurs. Polis says they have raised $70 million and created 1,300 jobs. You do the math. We can’t verify that number. The only two tax returns we could find were from the last two years, and shows a total of $500,000 raised, and about a quarter of that going to their own employees. You know what would have been helpful? If Polis had been willing to give those veterans a living wage when they were actually serving our country.